Talking of spring flowers annuals, only few are flowering right now. Heat is coming in fast and only drought tolerant plants are blooming. Some annuals in the shade are also showing their flowers. I would call it the remnants of spring. Lets talk about the Flowers of gazania, aquilegia, crape jasmine and millettia. The first one is gazania. A drought tolerant plant which blooms till mid summer here. 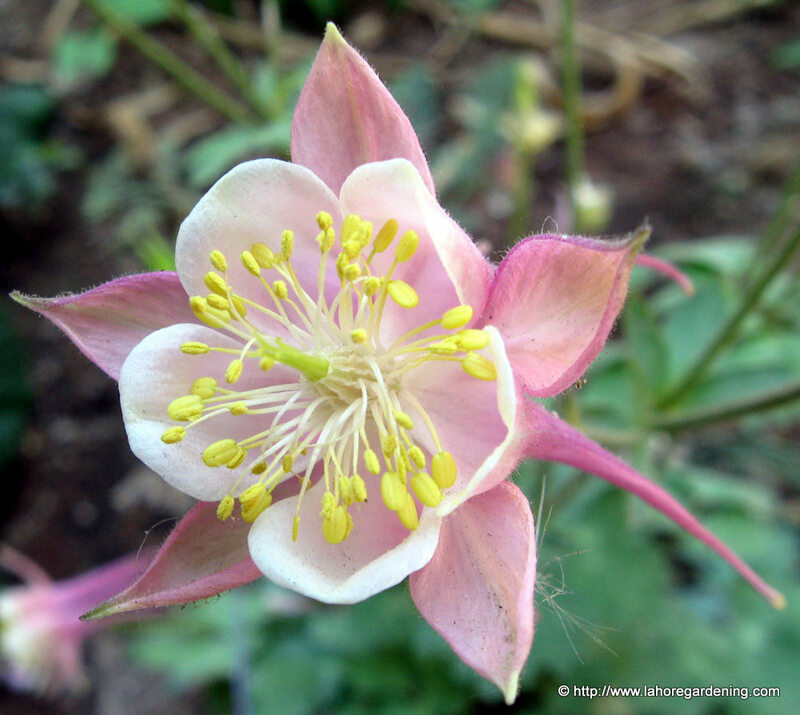 This aquilegia is in shade in my soil bed and only gets few hours morning sunlight. 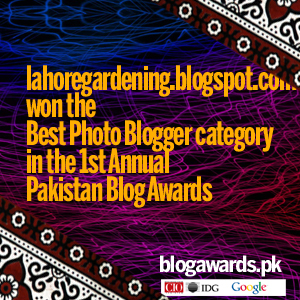 Columbine flower is an annual in lahore though some gardeners manage them as perennials. 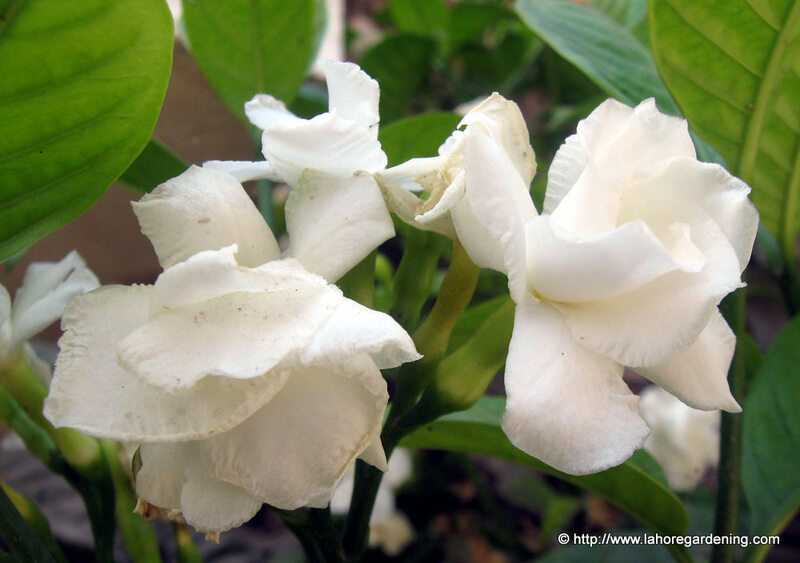 This is Tabernaemontana divaricata, crape jasmine which is called chandni locally. A perennial, it blooms almost all summer enduring summer heat. Sadly neither the single flowers nor the double ones are fragrant. But i heard that there are some fragrant crape jasmines as well. Talking of trees, here comes another species of millettia. 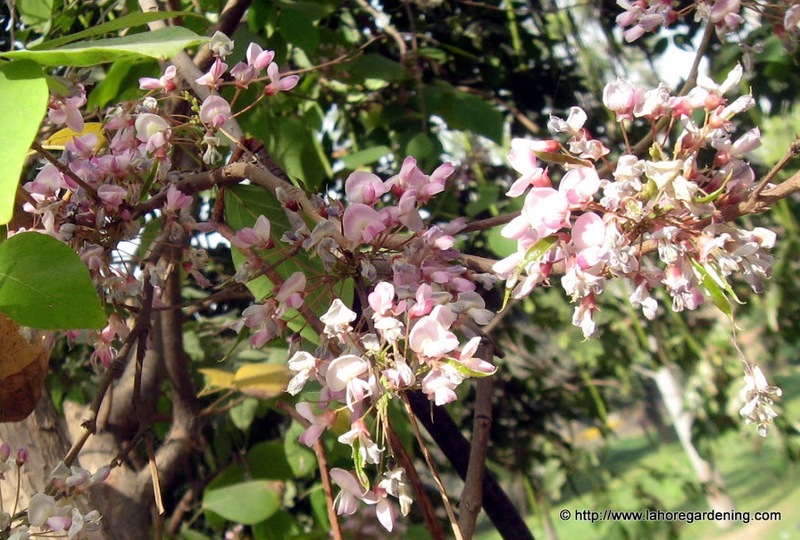 It is probably millettia pinnata also called pongam tree native to india, pakistan, japan , thailand, malaysia. It another variety of sheesham having beautiful flowers. 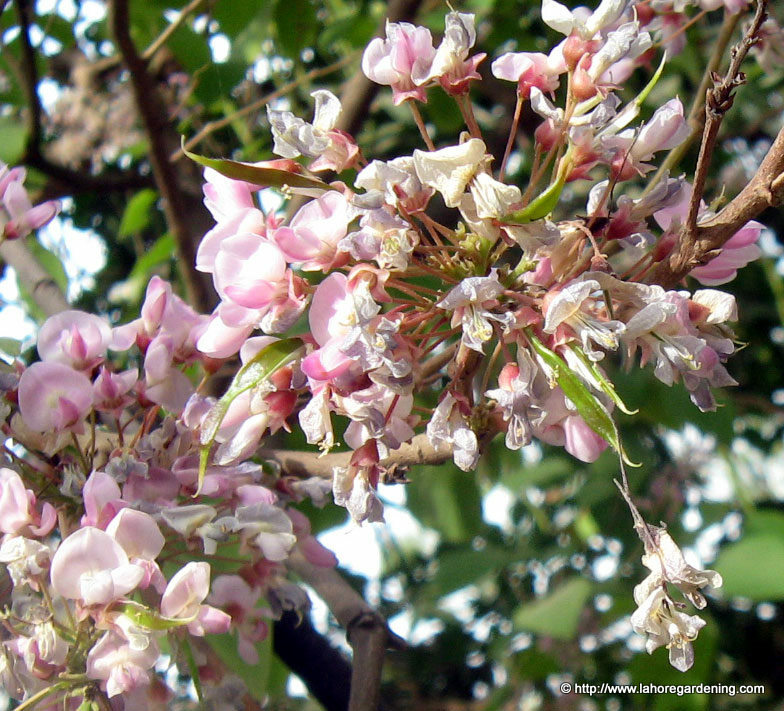 Flowers clearly show they are from Fabaceae (pea) family. This is the close up of flowers. Flowers clearly show they are from pea family. 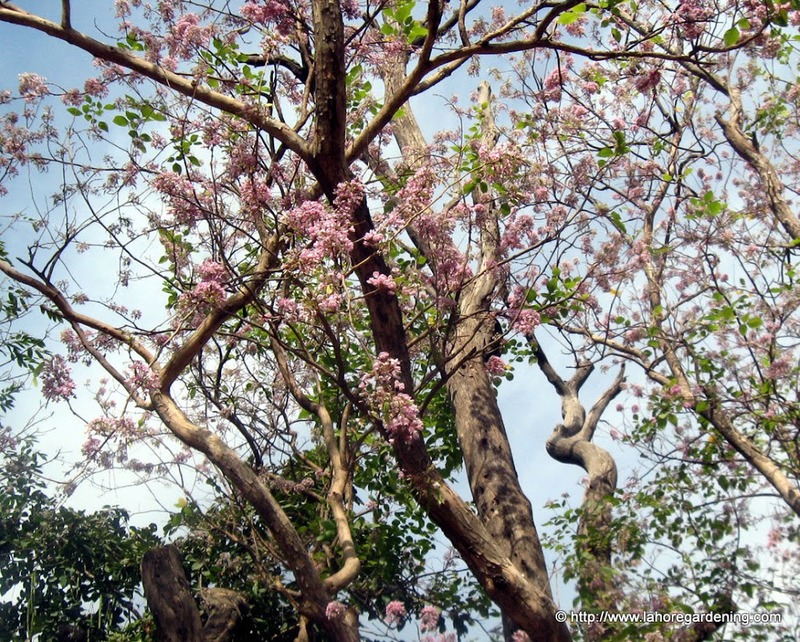 Tree is covered with flowers and leaves are none or very few making it very beautiful tree. Great looking flowers you have. The gazania is really vibrant. 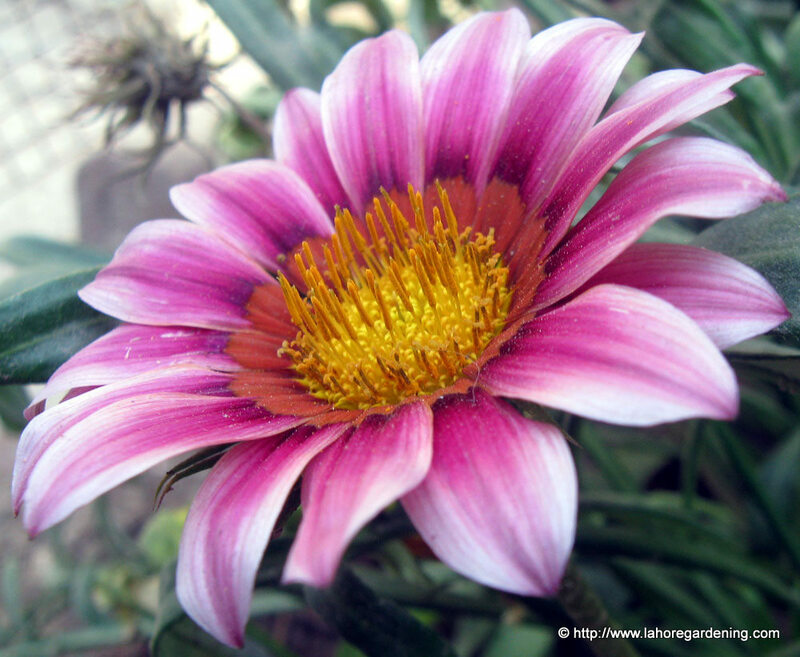 Gazania is a lovely flower and I once grew it in my garden. Maybe I should try it again. Oh, what wonderful macro you show up! This is a beautiful set if images. Well captured. I love the first photo. The colors are gorgeous!